Retiring as: President and CEO of Roper St. Francis, Charleston, S.C., effective at year-end. Background: Dunlap has led Roper St. Francis since 2003. 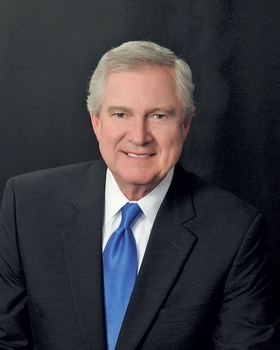 He was previously CEO of Memorial Medical Center, a two-hospital system in New Orleans. He also served as CEO of Presbyterian Hospital, which merged with University Medical Center in Oklahoma City in the late 1990s. Period of expansion: During Dunlap's tenure, Roper St. Francis expanded its reach, growing from two hospitals to now preparing to build its fourth. Approval for the new hospital in fast-growing Berkeley County was a seven-year battle that reached the South Carolina Supreme Court. The facility is expected to open within three years.